Posted by solrai in Current, India. How is what I’m experiencing be a post? I have traveled again to a distant land in miles but as near as my heartbeat. The separation of the past five months have been a challenge to say the least. Below are the first few thoughts since I’ve been home. Enjoy. And so it begins, not as if it hasn’t already started and not that anything is new, but everything is new. I lay on the bed, covered with a blanket as I gaze through the open door to the semi-sheer chocolate curtains that were dancing to the wind of the fan. My first morning in a new chapter on familiar ground. I am home with my husband after being away for about five months. Newlyweds who burn and hunger with the fresh realization of love. Although we were apart our routine of conversation didn’t waiver, twice a day like clockwork. His morning my evening. My morning his evening. I am married! And as many times as we think about it and look at the physical manifestations of our actions, we still check daily, weekly, monthly. The road to our matrimony is one that doesn’t happen everyday. A story, our testimony, that transcends normal. Now I learn how to live with my husband, my soul mate, my children’s father. An exciting schooling, I’m sure! 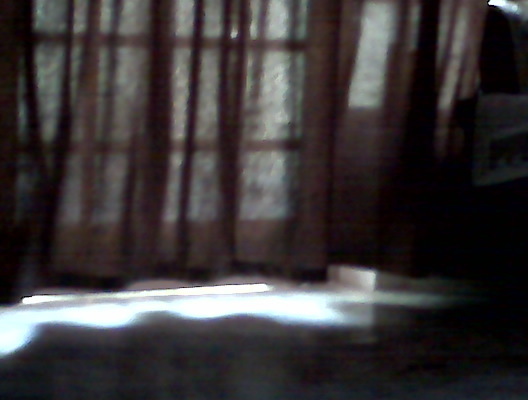 This morning I looked again at those sheer chocolate curtains dancing with the fan moved air. The dance was part tango part waltz. A style of uniformity and order with a flare of contrasting movement. Together they moved all the same way, sometimes ebb and flow an alternate yet always resuming back together again. My eyes moved toward the floor and the shadows these dancers make. Something similar to the waves of an ocean turned into hand movements or gestures of fluidity.